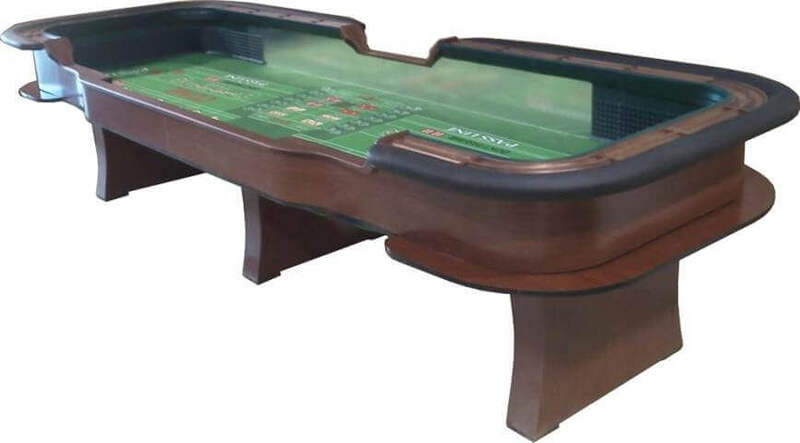 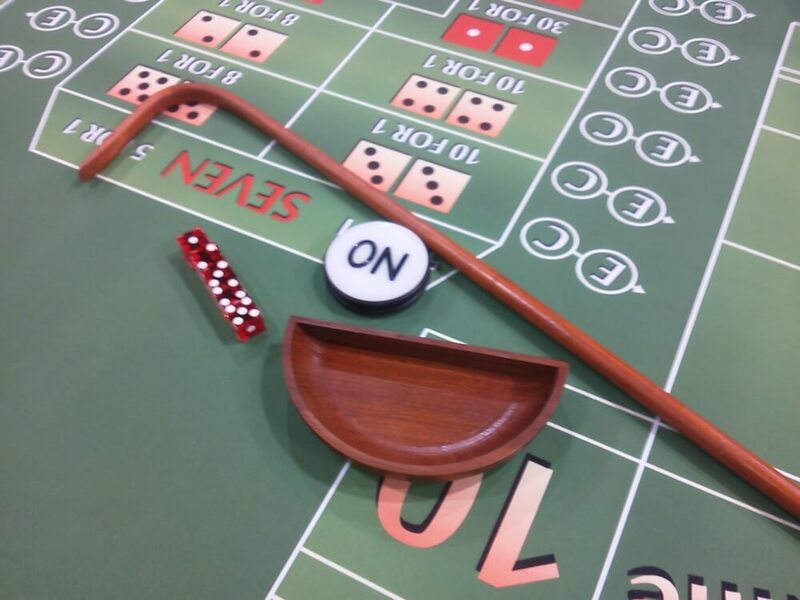 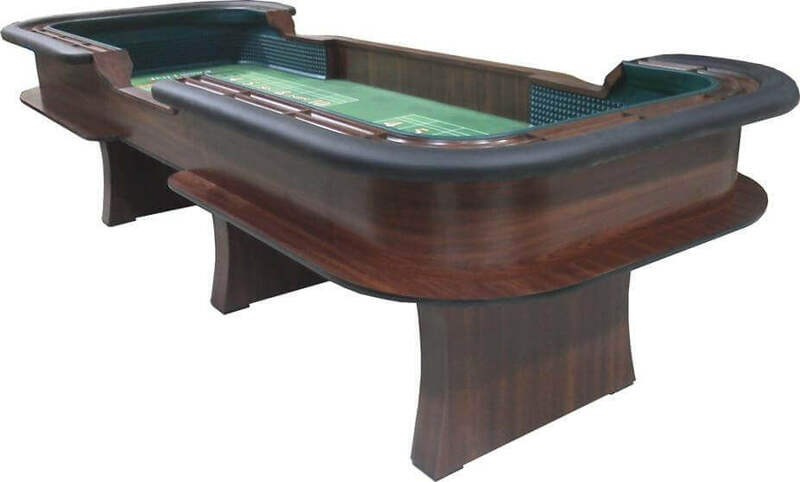 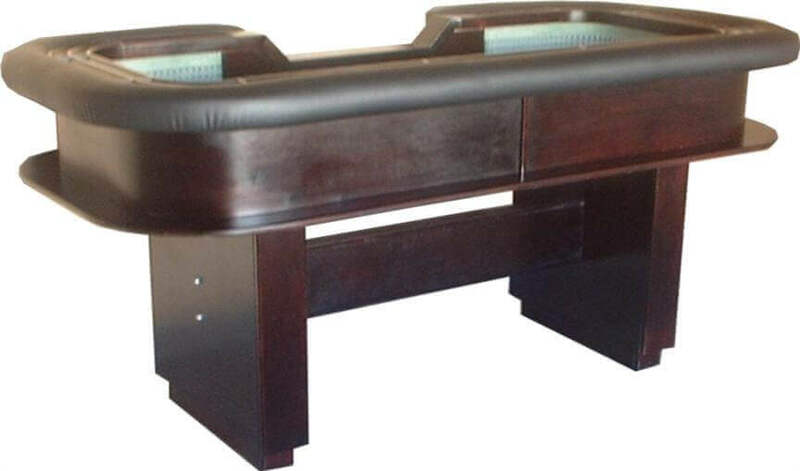 American Table Games 14′ Casino Style Craps Tables are all manufactured as a 4 piece breakdown tub for more convenient shipping. 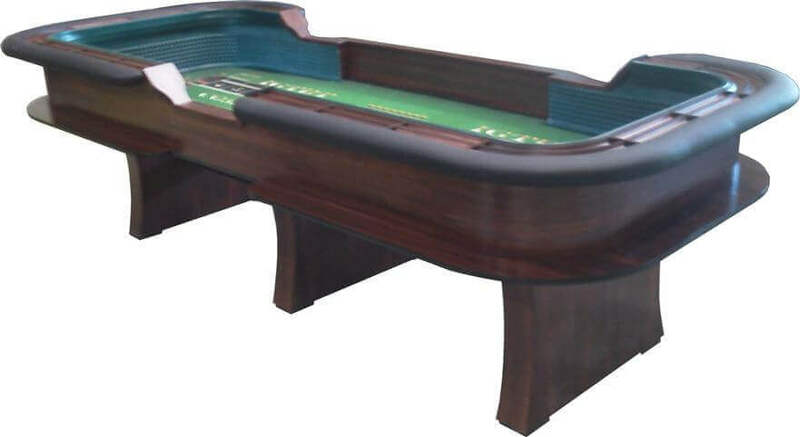 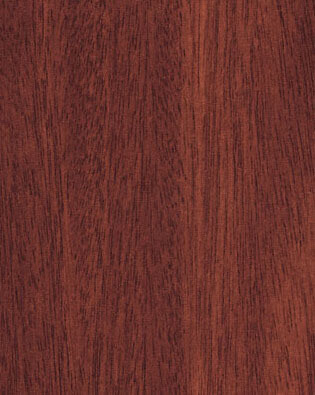 That also allows the table to be transported anywhere for casino parties, tight hallways, basements or upstairs. 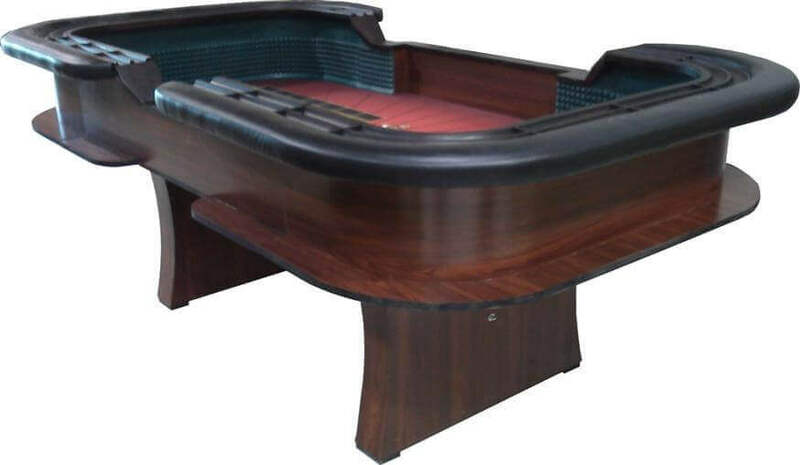 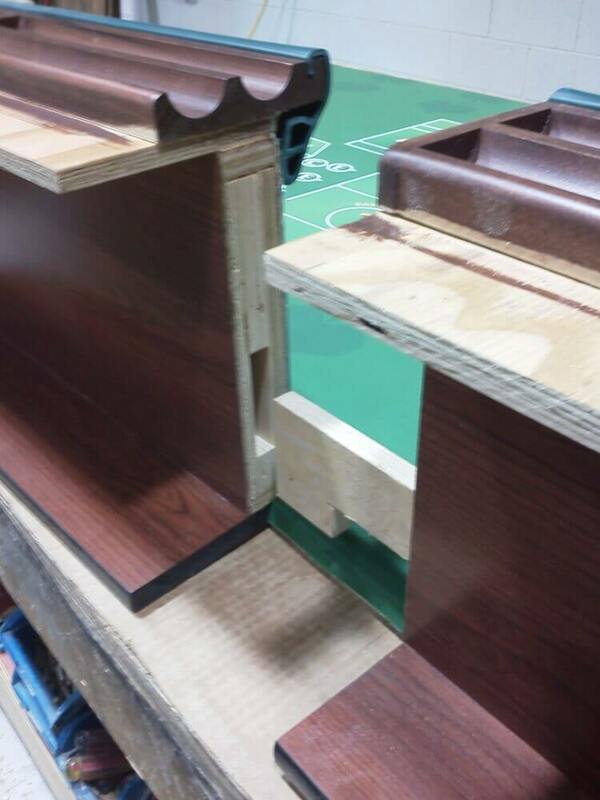 Most of our craps tables are built for “dice setters” so we make sure that the bounce and table dimensions are very true to the casino. 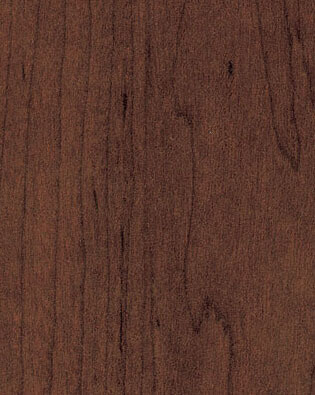 Please call if you would like to place an order or if you have any questions!